cute mr. gnome stands up – or lays down! – for his rights. 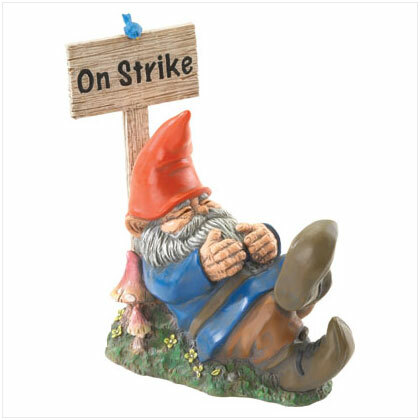 a witty tribute to hardworking folk that’s right at home whether gracing your garden, or decorating your office desk! stone/polyresin blend. 9 1/4″ x 4″ x 9″ high.